• Value is up from 1.8% to 3.4% (year to date). • Still an under-performer, with four labels in the top 100, but some interesting activity outside of it. The perennial under-performer among fine wine, despite some strong brands, extremely good wines and reasonable prices. Regional trade share has climbed a little since last year, and there have been some marked signs of life in the Rhône 50 in 2018, which is encouraging. The Rhône is still largely dominated by Guigal, Jaboulet and Beaucastel, with the former’s La Las still being the effective ceiling for most Rhône, save for the occasional celebrated vintage of Jaboulet’s La Chapelle. The impressive and much-anticipated 2016 vintage could give the region some real pep going into next year as it becomes physical, otherwise one area outside of the top 100 to consider is Cornas, where a little cluster of producers appear to be making waves. Alain Voge, Pierre-Auguste Clape and Delas are all new entries this year (at 108th, 111th and 187th respectively). Delas is probably riding on the coat tails of the other two, but Voge and Clape have reasonable turnover and decent performance – Voge actually has one of the best price performances this year, 53.8%, behind Georges Roumier and Leroy. It’s more of a feeling than anything concrete at the moment but there’s something cooking on Cornas. • An emerging category that now has its own index, the California 50. • The index is up by 17.3% (year to date). This is a sector of fine wine that has been building for some time, and that finally received some measure of greater recognition in August with the creation of the California 50 index. 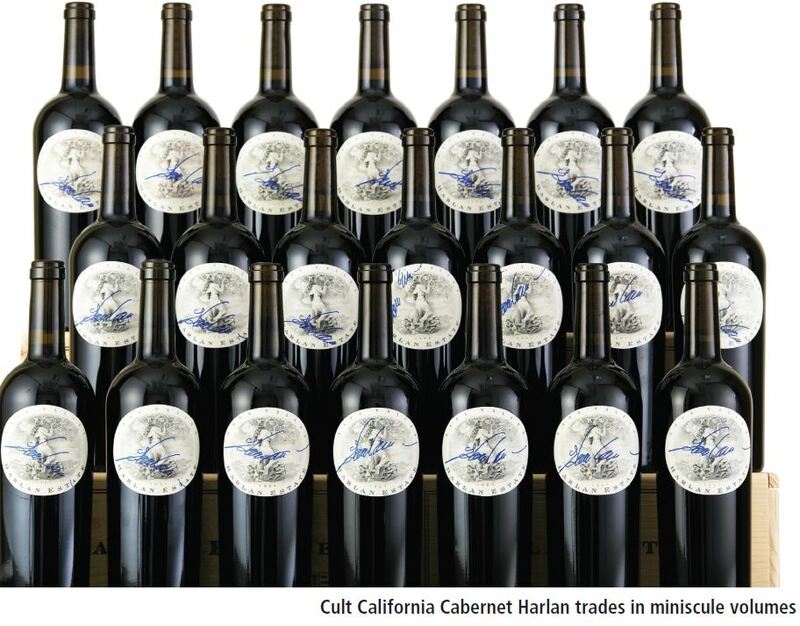 Although very famous, Napa wines such as Dominus, Screaming Eagle and Harlan were once rarely seen outside of the US, and were made in such tiny quantities and priced so high that their appeal was severely restricted. But tastes change, and more of these wines are being exported. The likes of Screaming Eagle and Harlan have also been creating more ‘affordable’ (comparatively speaking) labels, such as Promontory, which give their brands greater reach, although it’s still not huge. As such, the US’s performance this year doesn’t stand out too much but, says Gibbs, “it appears not much is going on but there is”. To begin with there’s Opus One, up by 33 places to 15th overall. It has good volumes, its average trade price is a shade under £3,000 for a dozen bottles, and its price performance has been good. “It’s really leading from the front,” says Gibbs. Dominus, meanwhile, suffers, thanks to its lack of volume but its price performance (up by 10%) is solid, “a steady ship”. Screaming Eagle and Harlan look like they’ve tanked but the former suffers because of its so-so price performance, largely thanks to it having one of the top average prices (£17,377). Harlan, meanwhile, is lacking some data, because of its miniscule trading volumes, and also the fact that the 2014 hasn’t been released. Scarecrow, Ridge and Mondavi are all new entrants to the proceedings, with Ridge showing good price increases. One brand to watch is Colgin, which was bought by LVMH in November 2017, and was the US’s biggest riser this year, shimmying up 55 places to 140th overall.